Height: 35.5" - 42.5" Depth: 19.75" - 30.25" Width: 22.5"
Height: 39" - 46" Depth: 22.25" - 34.25" Width: 21.75" - 23.75"
Height: 47" - 54.5" Depth: 22" - 37.5" Width: 22.75"
Since 1997 Vitra has implemented a certified system for quality and environmental management according to the standards of DIN EN ISO 9001 and DIN EN ISO 14001. Reducing the use of energy, raw materials, and other resources – thereby reducing the environmental impact caused by emissions, wastewater and waste materials. The most important contribution of Vitra to environmental sustainability, however, is the high quality and enduring design of its longlasting products. The unusually long life cycle of Vitra products is ensured by aesthetics that do not follow temporary trends and fashions, and also by a careful selection of materials and the use of innovative technologies. 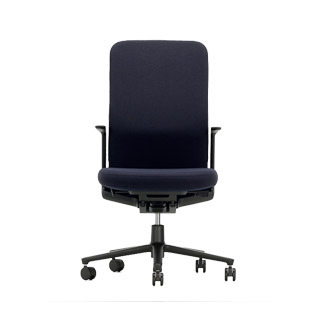 The longevity of Vitra products is increased by the replaceability of wearing parts. 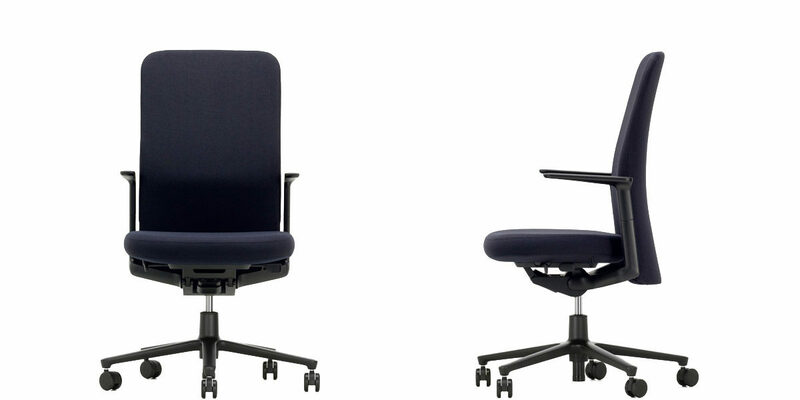 Offers all the functions necessary for ergonomic seating, while demonstrating expressive clarity and exceptional precision. 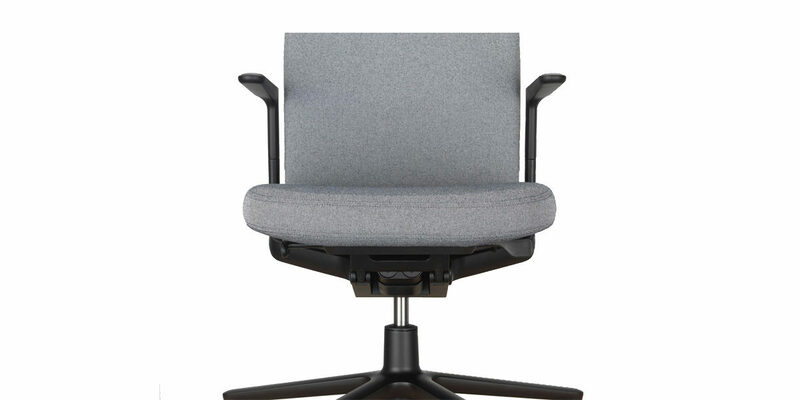 Development of the Pacific Chair followed the guiding principle ‘full performance, quiet design’. It has in fact achieved a harmonious combination of these two characteristics. The individual, high-quality components have a consistent design language, lending the Pacific Chair expressive clarity and precision. The backrest defines its appearance strongly. Extending so far down, no mechanical components are visible from behind of the chair. The only exception is the base, showing the mechanical components. With its linear silhouette and understated design, the chair is an ideal addition to any contemporary interior. The synchronized mechanism automatically responds to the weight of the respective user, offering an immediate sense of personalized comfort. Adjustments can be carried out quickly and easily because of operating elements concealed and intuitively positioned. 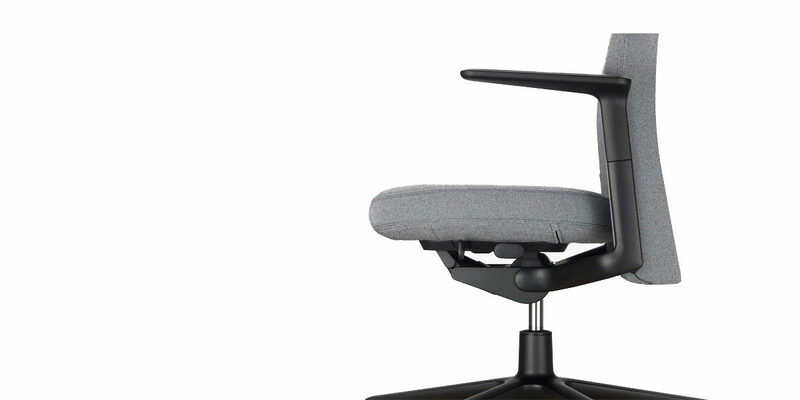 The padded backrest comes in three different heights. 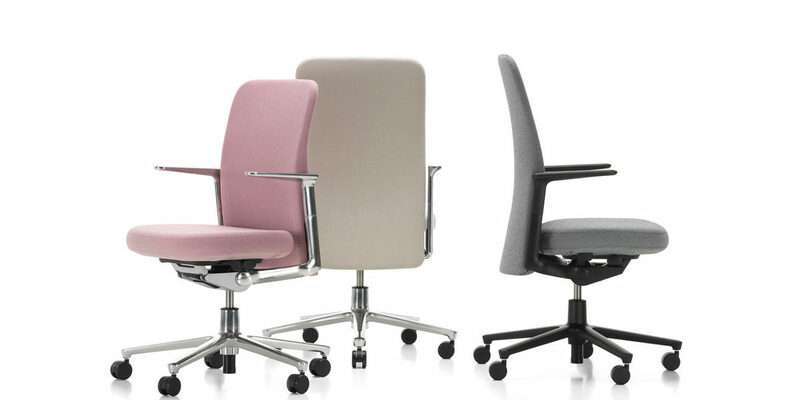 With color-coordinated components, choose between light or dark versions, available with matching functional armrests or elegant aluminum arm supports.